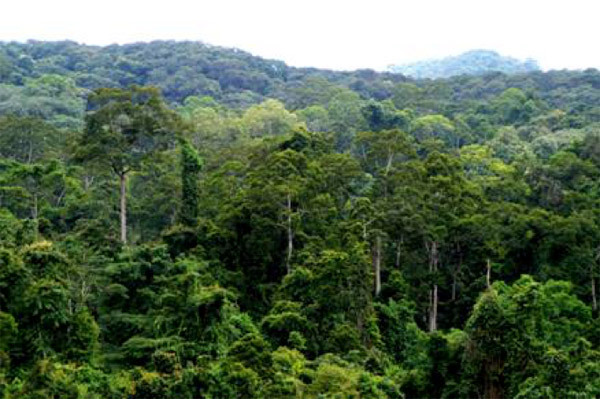 Probe movement, move along with the other Bamboo Sticks to one of the western dense forests. As I understand, this is to be (X215, Y238). Rebel or thegrandmystic may override this part if I have understood incorrectly. - Shang Bao in the fore with 50 (51) trained infantry and 30 auxiliarieswho will scour for any hidden information about ambushes or signs of recent movements (Relevant Skill: Scout[Shang Bao]). - Mao Ma Kan in the centre, following on with all 24 (28) archers, as well as 56 (4) infantry protecting these on the flanks. - Liu Jia in the rear with the remaining 6 (51) infantry, 134 (4) infantry, 7 () cavalry, and wounded, prisoners and supplies. The cavalry, wounded and supplies will travel at the centre of this formation, with the 134 infantry making up the bulk of those travelling around the outside of the force. If engaged, escalating conflict is a last resort. Attempt to open a dialogue with any found in the forest, asking for assistance in the investigation being undertaken on behalf of the villages to the east who were recently raided. Those forthcoming with assistance or information on the forest will be treated well and rewarded. If hostilities arise, each individual commander will command their section of the line. Probe movement with other Bamboo Sticks from current location to (X216, Y240). Slip away just prior to dawn. Mao Ma Kan leading the rear guard, Shang Bao scouting (with Scout) ahead. These are the orders for the night of Day 5's encampment. Shang Bao: First watch. Shang Bao organises an immediate response plan if the makeshift camp is attacked, especially from the west. Mao Ma Kan: Takes a small group of troops to make an obvious attempt at clearing the roads. None of them should be put in danger to achieve this. Don't stray too far from the camp. Withdraw if meaningfully resisted. Liu Jia: Second watch. Cycle the troops and ensure Shang Bao's defensive planning stays in place. Ensure preparations for a smooth early moveout (possibly relevant: Logistics(e)). One Sun Mirror wrote: Mao Ma Kan: Takes a small group of troops to make an obvious attempt at clearing the roads. None of them should be put in danger to achieve this. Don't stray too far from the camp. Withdraw if meaningfully resisted. This is contradictory. You can't just venture off into a deep potentially hostile forest in the middle of the night and say "none of them should be put in danger". Making an obvious attempt to clear the roads intentionanlly invites attention. You can prioritise safety of the group over mission success, but no guarantees. Venture off? How far is our camp from the trees that are blocking the roads? I thought we were pretty close. Rebel wrote: Venture off? How far is our camp from the trees that are blocking the roads? I thought we were pretty close. It's not far, but it's outside the camp. And between making the obvious attempt to clear the road (which by definition aims to attract potentially hostile attention) and the safety of the team, you need to prioritise one or the other. We approach the fallen trees late at night, search the area to see if anyone is around and then make some noise as it we are trying to clear the path. We don't actually spend time clearing the trees. We withdraw after five to ten minutes and set up an ambush at the rear of the departing troops and wait for any enemies before departing ourselves, after a couple of hours. Just as the trees block the path of a large troop going west, they should block a large number of troops coming from the west too, unless I am missing something? Or can hundreds of men move back and forth with ease without clearing the trees? EDIT: The aim is to throw the enemy off on the movement of our main force rather than attracting hostile action and waiting for the enemy to arrive at the exact spot where we make noise. Don't forget, you have spent less than a day in the forest, and the bandits have been here for months. While they can't move "hundreds" of men with with ease, they may well have ways (hidden paths) of getting around that you simply haven't spotted. To illustrate, the heavy forest is something like this. Outside of the road and your camp, that's the amount of visibility you are getting. Do bear this in mind. For all you know at the moment, there may be some bandits (not too many, as an army will make some noise, but groups of a dozen men, sure) in hiding a couple of hundred feet from your camp and will not see them in the dark. 2. Leave the forest with zero intel because the enemy has been here for months and they are so well hidden that they can see us while we can't see them despite probing. Here are my Day 6 orders then. Leave the camp with 40 (4) infantry about half an hour before the main troop mobilizes. Make a lot of noise near the blocked path as if we are trying to clear it. Leave fifteen minutes later (unless attacked) and set up an ambush at the camp. If nothing happens for two hours, use elude movement and head south to rejoin the main troop. If enemy comes to the camp, try to ambush them or withdraw, depending on their size. Standard command. No negotiation expected. None offered. Do or die. There are other options too, they were even mentionned in passing in the roleplay. Not necessarily better options, but they do exist. Anyway, now waiting for orders from the other teams (UnholyBlade, PorcelainCow, Phailak). If nothing happens, will run next turn during weekend. Ah, I thought we were still doing Day 5 events. My mistake. Could you post my Rest results after the conclusion of the skirmish? On Day 5 I moved from X:205 to X:201. You're saying I should treat it as the battle happened before the move? If I have the right of it, I'll move DR from X:205 Y:232 to X:209 for Day 5, and then finish the move for Day 6 inside the city. Finishing Day 6 inside the city is correct.